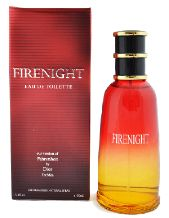 I have yet to see a blog on the web that has reviews of so-called "knockoff" fragrances. This is probably because knockoffs are considered to be at the bottom of the artistic barrel, since they're usually nothing more than shameless copies of established perfumes. However, I think some knockoff perfumes do have merit. I'm not saying that they're anywhere near the same league as classic Guerlain fragrances, for example, but I do think knockoffs deserve some discussion in a forum regarding perfume. So, what's a "knockoff" fragrance? Generally, a knockoff is a fragrance that is created for the purpose of imitating an already existing (and usually popular) fragrance. A knockoff is not the same as a counterfeit or bootleg perfume. Unlike fakes, knockoffs are legal and don't pretend to be the actual original fragrance; they have different packaging and names than the originals, but they're similar enough so that you can easily recognize which perfumes they're imitating. Take the picture above of Dakar, for example. Is there really any doubt in your mind that this is a knockoff of Drakkar Noir? Knockoffs make no bones about the fact that they're imitating other fragrances. Let me get back on track here, because I didn't post this article to make fun of knockoff fragrances. Actually, I like and enjoy wearing some of them. They have a place in my collection, and I'm here to talk about why I find knockoffs to be a valuable part of the world of perfume. The main reason knockoff perfumes exist in the first place is to give consumers a low-priced alternative to having to pay the high prices of designer fragrances. The idea behind them is this: why pay $60 for a bottle of Jean-Paul Gaultier's Le Male when you can pay $5.00 for a bottle of "My Male" (I made the name up), which supposedly smells exactly the same as Le Male? Sometimes this approach works; for example, Classic Match Drakkar (by the company Classic Match) is an outstanding knockoff of Drakkar Noir, and it smells exactly the way Drakkar Noir smelled in its vintage formulation. 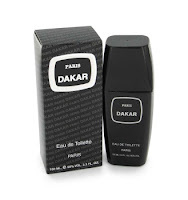 I wear it just as much as my authentic bottle of Drakkar Noir. The problem is that a lot of knockoff scents don't smell very good, and therefore don't provide you with a meaningful alternative to buying the original. A case in point is Jordache's knockoff version of Quorum by Antonio Puig. The stuff is awful. Whereas real Quorum smells like it's made purely of natural ingredients, the Jordache knockoff literally smells like lemon scented diswashing liquid. It not only smells terrible but it doesn't smell anything like Quorum. Luckily the stuff only costs one dollar, but what are you going to do with a 100 ml. bottle of a bad smelling fragrance? What I like about good knockoffs that do smell like the original is the fact that it allows me to take risks. For example, perhaps I've always liked the smell of Le Male, but not enough to spend $60 on a bottle. If I can get my hands on a good knockoff, I can get that smell of Le Male at a tiny fraction of the price of the original. I mention Le Male because it is one of those scents that I like, but not enough to pay its full price. Luckily, the Preferred Fragrances company makes an excellent Le Male knockoff that goes for about $5 and smells just like the original, as far as I can smell. 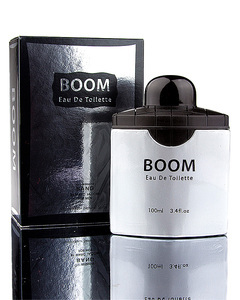 Sometimes the knockoff is more of a variation or, as they like to state, an "interpretation" of a popular scent, rather than a blatant carbon copy of the original. A case in point is Classic Match Polo, a very good knockoff of Polo by Ralph Lauren. It smells woody and mossy like the original Polo, but it's even woodier than Polo and it has more patchouli in it than the original. I find it a nice fragrance to wear when I'm in the mood to wear Polo, but with a twist. 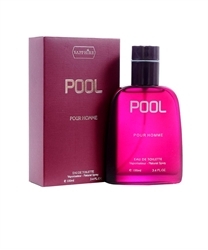 Basically, it uses the Polo smell as a base on which to build a woody chypre fragrance. It's these kind of knockoffs that I find most respectable because they don't merely copy another fragrance, but rather do something a little different with the original idea. It's rare to find a knockoff that is actually better than the perfume it's copying, but they do exist. One example of this is Nobile Royalty (by Alexander da Costa), which is a knockoff of the discontinued Nobile by Gucci. Gucci Nobile has legendary status among perfume enthusiasts, and because it was discontinued, it fetches insanely high prices on eBay. In comes Nobile Royalty, a $10 cheapie that smells better and longer lasting than Gucci Nobile, and costs about 5% of what Nobile fetches in auction. Gucci Nobile was a great scent, but it was a little too sweet for me. Nobile Royalty, on the other hand, nailed it with its perfect balance between its green, aromatic and sweet qualities. 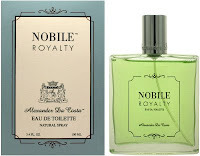 Even better, Nobile Royalty is an eau de parfum, whereas the Gucci is just an eau de toilette. If most knockoffs were this good, I'd probably never buy a designer fragrance again. I think the Alexander da Costa company has the right idea with Nobile Royalty, and not so much because they deliver an excellent product. No, what they've done is release a product of great interest to perfume enthusiasts: a knockoff of a discontinued classic. Think about what a great thing it would be if there were a company dedicated to resurrecting great discontinued fragrances of the past in the form of quality knockoffs. Perfume enthusiasts would be in heaven. Hell, I'd be doing victory laps if I could find a high quality knockoff of Balenciaga Pour Homme or Ho Hang, for example. Unlike producing knockoffs of existing popular colognes, making knockoffs of discontinued fragrances would provide consumers with the only alternative to buying expensive used bottles of those old gems on eBay. This, my friends, should be the future of the knockoff fragrance industry. I'm going back to my original thought in this post: few if any perfume blogs cover knockoff fragrances. I guess this post is a long-winded way of saying that I plan on posting reviews time and again on knockoff scents. 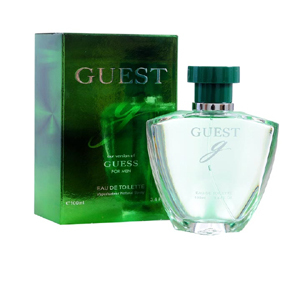 These fragrances are out there, and they do have some appeal due to their very low price. Therefore, it's good to have some idea of what the good stuff is and what is crap. I don't make a habit of buying knockoffs very often, but I'll be happy to share my own experiences with them in this blog. I think covering knock-off fragrances are a great idea. Not everyone thinks it's reasonable to spend $200 for a bottle of perfume or is within their means especially in this economy. When I review niche perfumes I always mention lesser expensive dupes if there are any and I briefly explain the differences. Can't wait for your reviews! Wow, this post hasn't even been out 24 hours, and two comments asking for knockoff reviews already. That's great. I'll be sure to post a knockoff review in the next few days. I concur! A good knockoff is a great discovery and there's the added thrill of it being a fraction of the price - win win in my book. I found this blog while searching for Nobile Royalty in the UK. Just to add to the subject, there are some amazing knockoff perfume oils out there also which though stripped back in their packaging offer deep and alluring scents which often add depth and interest to the fragrances they are 'interpreting'. More knockoff reviews please! Could you let us know about some perfume oil knockoffs and where to get them? I wasn't aware of any, and would like to try some out. On the contrary, the Jordache knockoff version of Antonio Puig's Quorum smells amazing. You are right that it doesn't smell very much like genuine Quorum, but you're completely off base in saying that it smells awful. Nothing could be further from the truth. In fact, the Jordache version is actually another case in which the knockoff is actually better than the fragrance that it's trying to copy. Very smart thinking.. great idea! A decent La Male "clone" is Mustang Performance. Goes for about $10 at TJ Maxx. I sampled La Male at Ulta and at least the top is a dead ringer to my nose. I sampled the "Perfect Scents" version of Cool Water at CVS and it was NICE. Though since I have a nearly full bottle of Aspen, it would be redundant to me. I will check out that Classic Match Drakkar. I wore it in college in the early 90's so maybe this will bring back some memories. I agree on the discontinued idea.. I'd love a decent knock-off of the original Calvin. The only option these days for something similar is Bond No. 9 Cooper Square which goes way in the OTHER direction of affordability! Nobile Royalty must be discontinued as well, because people are trying to get over $100/bottle for it now??? Classic Match Polo is no joke. I absolutely love it. Smells more like vintage Quorum to me than Polo, which is fine because I like the "dirtier" (in a good way) aspect of it. CM Obsession is basically a clone of vintage Obsession. I don't own it because it's not really my style but I have to give it credit. It also lasts foreeeeeever. CM Blue Depths is an outstanding CW clone (but I don't own it). CM Drakkar is also right on the money, just like vintage Drakkar (it also just isn't my style though).